In going with my theme of quality over quantity this training period, I have designated Monday’s for Yoga, Tuesday’s for interval runs, and Thursday’s for tempo runs. It was a good class, the first of hers that I’ve practiced, but it was pretty slow for me. I like power or (vinyasa) flow style yoga the best, but I still learned a few good stretches I can incorporate during my post-run cool downs. If you’re interested in more Yoga for Athletes- style classes, here is a list of DVDs I found on a Runner’s World forum. Yesterday was my first speed work day and I must say I am a huge fan thus far. It was a cool morning here in NC (around 60 degrees!) and I got a tough workout in before 7:15am; a great way to start any day. 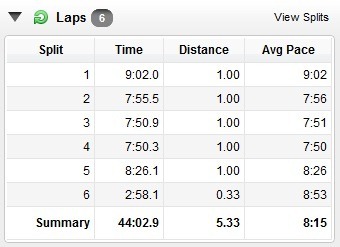 I saw lots of other runners in the neighborhood I ran in; just another reminder that I love doing this! I’ve decided! 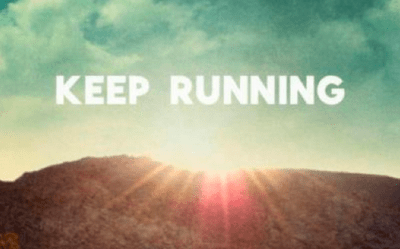 After contemplating several fall marathons and whether or not I would actually be able to/should run a marathon this year – I decided a couple of weeks ago that I wanted to register for…. Better known as “The People’s Marathon” it is the biggest marathon in the U.S. not offering prize money to the top runners. I have only heard good things about this marathon from people I know, other blogs I follow, and even complete strangers who’ve said how great it is. Coming from a family who has had many generations serving in the armed forces, I felt this would be more personal of a race for me to participate in. My grandpa, uncle, several cousins, and now my “new” family on Brandon’s side can add to that list with his grandpa and cousin (that I know of) serving our country. I’ve heard of Marine’s running in their uniforms and the crowd support is phenomenal throughout the entire 26.2 miles. 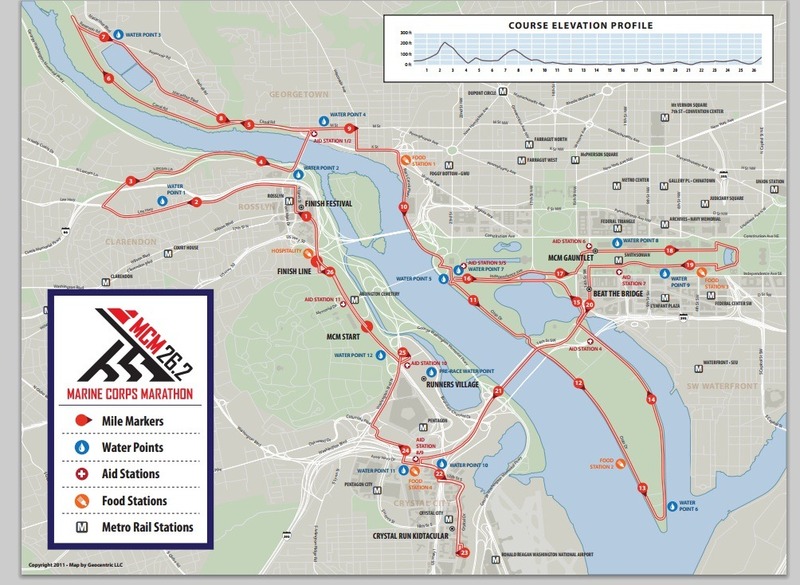 The course starts in VA and takes us through all of the historic landmarks in the D.C. area. Up to this point in my life, I’ve never been to D.C. and I’m pretty stoked to see all the of landmarks by running the city. Apparently everyone else is excited to run MCM because on Wednesday, March 7 we runners came together and set a new marathon sell-out record! 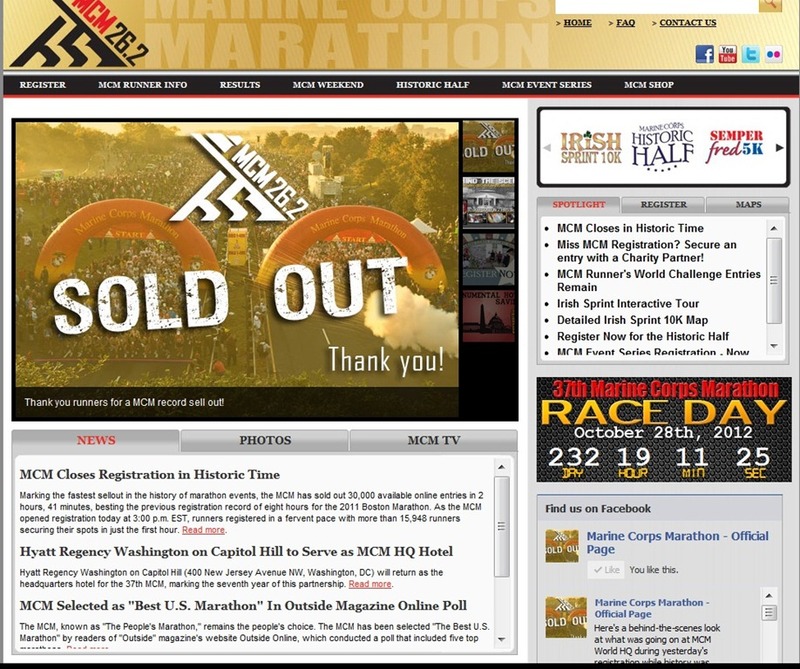 Beating the previous record holder, Boston 2011 Marathon which sold out in 8 hours, the 2012 MCM sold out in 2 HOURS and 41 MINTUES! Last year MCM sold out in 28 hours..quite a difference! Here is what MCM Headquarters looked like during the record breaking sell-out. 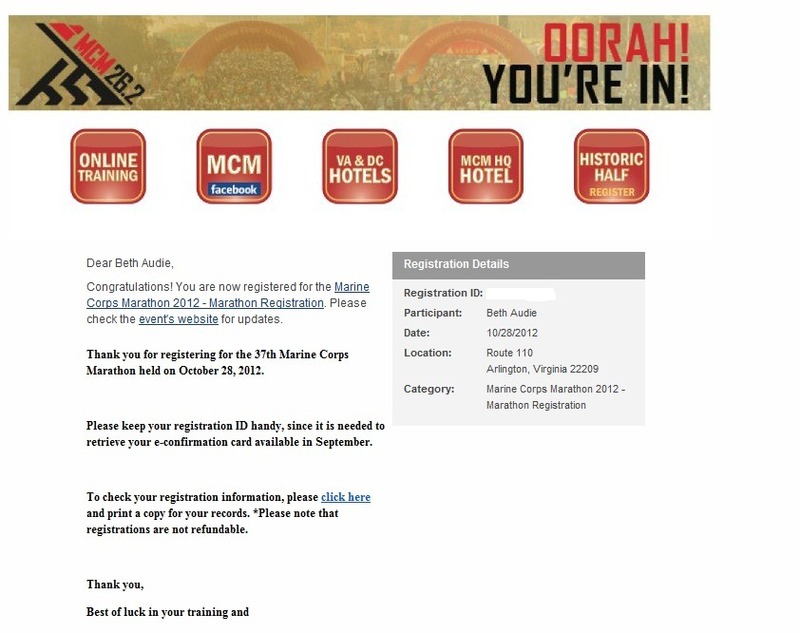 I’m very excited for the race and very excited to have family and friends running the race, too. It’ll be interesting to see how this training period will differ from my last marathon. I won’t be traveling so many weekends, for one, which will help me out tremendously. I’ve already begun thinking about other areas I need to improve on and am looking forward to making this training plan! After the NYC Half next weekend (!!!!) I will really be able to focus on what my goals/training should look like for October.